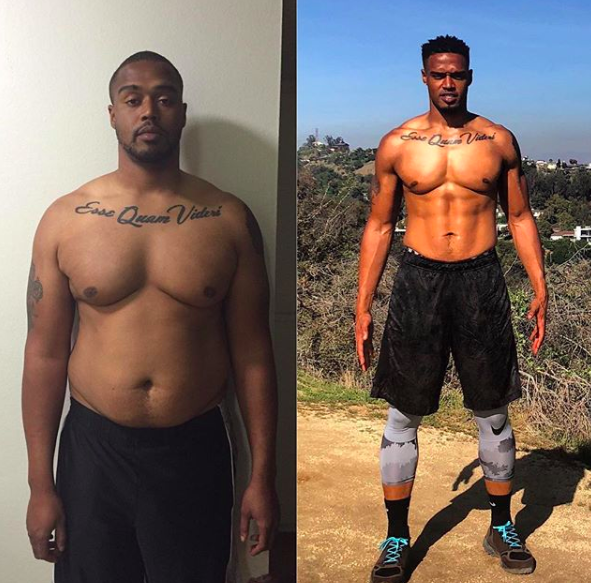 From NCAA defensive lineman weighing over 300 pounds to fit-bodied reality tv-star, Dexter Holman tells 3Leaf about his weight loss journey and how cannabis helped motivate him while overcoming stress, pressure, and Khloe Kardashian. You grew up in Georgia and played football for years. Has cannabis always been a part of your life? I played college football at Coastal Carolina University. I was playing defensive tackle, which means I was really, really big. I had gained a lot of weight. I was gaining about 25 pounds per year. And while it was intentional, it wasn’t healthy weight and it got out of control. I lost myself in trying to be this football player, trying to make it in the NFL. I didn’t make it, and once everything was over, all I had left was all this weight. My cannabis use really kicked into gear when I was trying to lose weight. At my biggest, I was 328 pounds and when I moved to California I weighed 275 pounds. I moved out here knowing I wanted to make myself better and also motivate others at the same time. 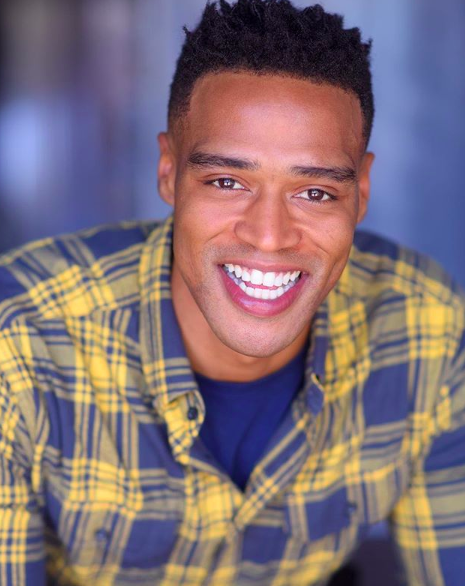 In 2016, Dexter moved to California with the intent of launching his career as a stand-up comedian. While performing at The Lexington in Los Angeles a producer from Khloe Kardashian’s Revenge Body asked him to be a part of the show. What ensued was nothing short of a physical and mental rollercoaster. It was 14 weeks of filming and there is no way I would have made it through that without cannabis [laughs]. It was one of the most stressful situations I’ve ever been in; it was a lot of pressure. And I was putting my body through so many things that it wasn’t used to. At that time, I was alone and kind of depressed. And cannabis helped me to get out of that depression, out of that feeling of helplessness, and back to that feeling that I could do things. It helped me realize that I am not my fat and I am not my weight. One of the coolest things I got to do while I was on the show was work out with Michael B. Jordan. At my heaviest I was working out with him, and I remember thinking that the only difference between me and Michael B. Jordan is habits. It’s what you choose to do on a daily basis. So I changed all my habits because I want my habits to represent what I want for my life. I don’t want to just take what I can get. My goal every day is to make myself better than yesterday. “I want my habits to represent what I want for my life,” says Holman. What does a typical day of training look like for you, and how does cannabis benefit your routine? Today, I ran a mile-and-a-half to the gym and followed it with an upper body workout – triceps, biceps, shoulders, and back. Then I sweat it out in the sauna for 25 minutes and ran the mile-and-a-half back home. I typically train for two to three hours a day. People think that cannabis is only for getting stoned, but that isn’t true – just look at me. It puts you in an optimal state of consciousness where you can really focus on yourself and the task at hand. Before a workout, I use it to help me get into the moment. Micro-dosing helps me get into that flow-state, it’s perfect for that. It puts you in a state where you aren’t spaced out and your coordination isn’t off. It quiets my thoughts about everybody else, my relationships, my stresses, and whatever else I have going on in my life – it lets me just be in that moment. And that’s where I like to be when I workout. I like to be in the moment and not focused on anything except for my workout because that’s what gets the best results. After, it helps me with my pain management. Initially, I was always sore because I was working out so much more than I was used to. I’ll get a massage with CBD topicals after a workout to help my muscles from getting sore throughout the day. I also use it for sleep management – rest is crucial for recovery. I’ll smoke and eat edibles to help me get a good sleep. I wouldn’t recommend it to the whole world, but for me personally, it’s what helps me. For those who are interested in incorporating cannabis into their fitness routine, what would you recommend? I think the best way to start out is doing something more like yoga, something that you can ease into so that you can observe your body and how it reacts to the cannabis and your movements. A lot of times before hitting the gym people will feel like, “ah, I don’t want to be here.” But when you get in that flow-sate from cannabis it puts you in that moment, in that headspace of: I’m here and I just want to do the best that I possibly can with my time. And micro-dosing is perfect for that. Really, it’s up to you to figure out what works for you. Micro-dosing is definitely a good place to start though. Dexter knows what works for him and doesn’t recommend his consumption methods or dose for everyone. Similar to what Gina discusses in our last post, dosage and preferred consumption method are entirely personal. “My goal every day is to make myself better than yesterday,” says Holman. Running – hit the streets. Spin class. Spinning got me right. And I love the music. Pizza from Wood. They have this mushroom pizza that’s very nice. I actually listen to a lot of motivational tracks when I’m at the gym. I really like Eric Thomas. And today I was listening to Tony Robbins. It’s nice to pump your mind up while you’re pumping your body up.